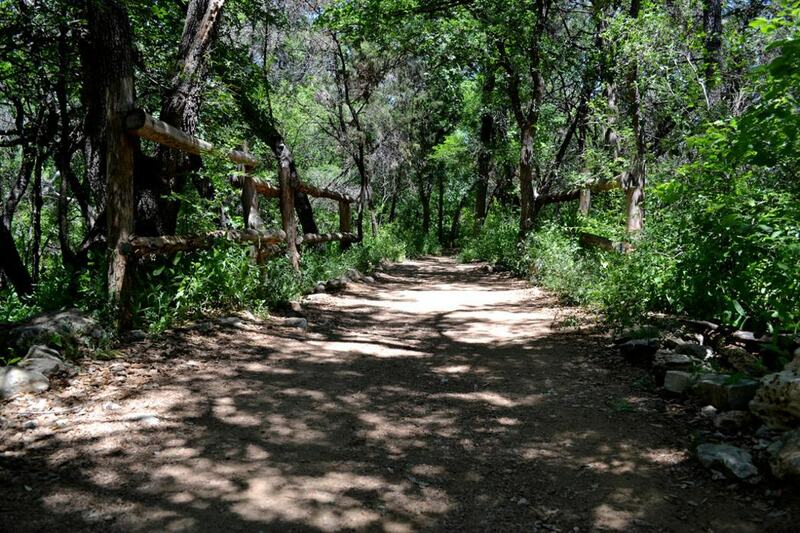 The Barton Creek Greenbelt offers an adventure for everyone. Explore the 7.5 main trail or venture onto the single-track that expands close to 20 miles through a variety of terrain. The trail starts at the Barton Springs trail head in the heart of Austin, and finishes at the Hill of Life. Perhaps the most impressive metropolitan nature preserve in Austin is the Barton Creek Greenbelt, which extends 7.5 miles in length from Barton Springs all the way up the Hill of Life. The main trail is wide, well-worn, and easy to follow as it always stays alongside the creek and offers easy water access and flat terrain. However, there are also many technical sections along the main trail after the 4 mile marker that challenge even experienced runners. Many runners make it a challenge to get to the Hill of Life and back making it a 15 mile round trip from the Barton Springs trailhead. 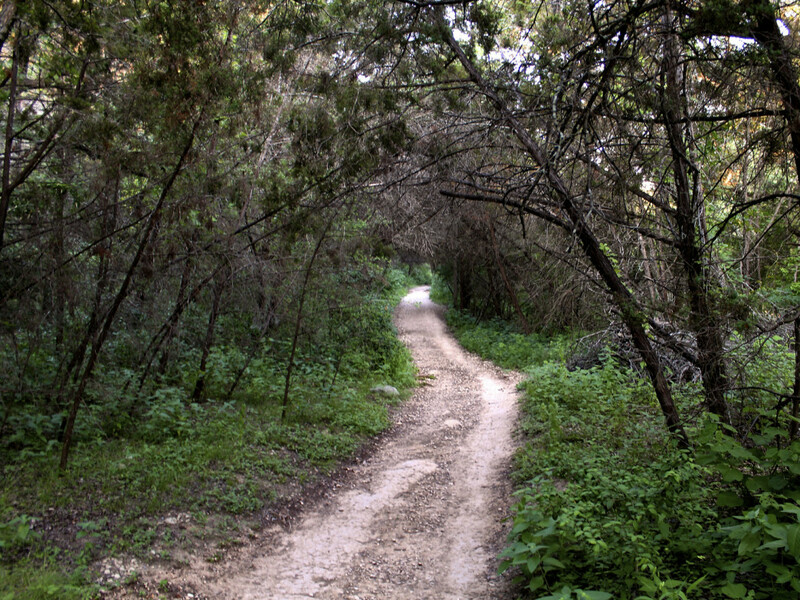 This trail is the easiest to navigate because it follows the spring fed Barton Creek. People do still get turned around from time to time because the only markings on the trail are mile markers. If you plan to go out on your own for the first time, join a running group like Austin's based Trail Roots Running to help guide you along the trail with a fun group of other runners. If you go out on your own remember the main access points and you can print this map, as there will be occasional signage near those trailheads. They can be a good exit point if you need to get out to the highway. 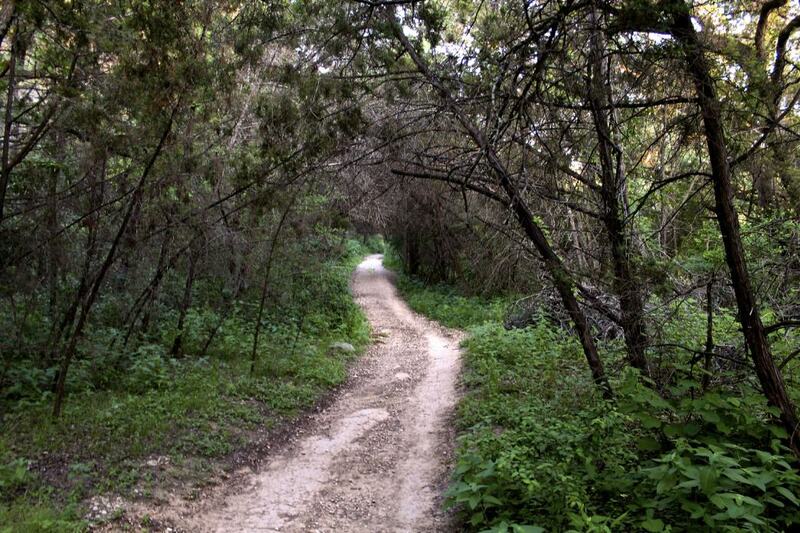 Trail runners of any skill level will enjoy their time on the Barton Creek Greenbelt. Be prepared to share the trail with hikers, bikers, drinkers, and dogs, as this is a very popular spot throughout most of the year. 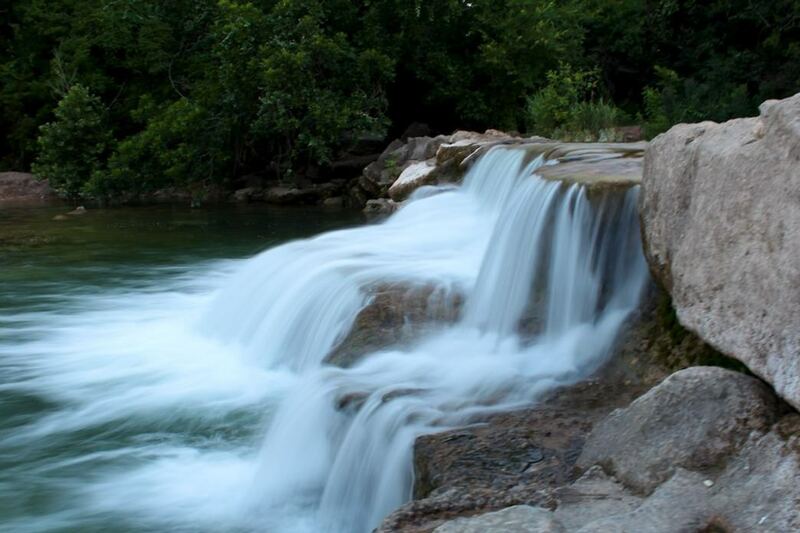 When water levels are high enough, the creek offers many adventurous crossings and plenty of swimming holes for cooling off on a hot Texas day. Spyglass access - This is a great central option. 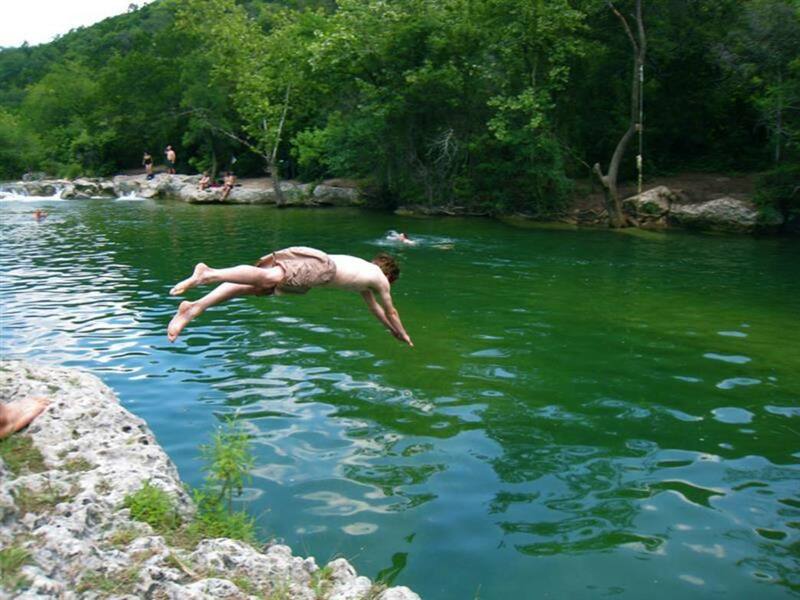 It is located next to some great swimming holes and has Austin's best taco joint, Taco Deli! This is a great place for lunch and breakfast tacos after a long run, hike, or mountain bike on the trail. The 360 access - is popular because it has one of the biggest parking lots and a bathroom (or a toilet over a pit). It is also closest to many of the climbing walls and swimming holes and is nearly at the middle of the 7.5 mile trail making it a good option if you don't want to do a complete out and back run. Hill of Life - This is the most western trailhead near Westlake Hills. It is the end of the marked portion of the trail at 7.5 miles and has the best scenic views above the trail. The climb is about 250 ft in 1/2 mile. About 1 mile after you pass the 360 access you will have more trail running diversity and options to get on single track. The entire west side of the creek can get you the most technical trails in the area with plenty of elevation change. If you are looking for the toughest challenge then you will definitely want to hit this area up. Accessing these trails are the main issue here, because there is no public access accept from 360 or Hill of Life. This single-track is probably most appreciated by experience mountain bikers and trail runners. In all, there are about 20 miles of unmapped trail with various access points. Not all of these trails loop back to the main trail, which adds to the confusion, so it’s probably best to know and use the main trail and Barton Creek as a point of reference if lost. Trail Roots runs these trails frequently and marks the runs for their group, so contact them if looking for a guided group run. Written by Erik Stanley for RootsRated.